February 26, 2018 BlogAaron B., ANE, ANE2018, Anthro New England, Equus21, Furry Con, Horror Movie, Movie, movie screening, Q&A, To the SlaughterAaron B. Going through the process of getting a movie screened was something I never thought would happen. When I submitted my movie, I did it just so I could say ‘I tried.’ When I got the email saying ‘your panel has been accepted’ I think my heart skipped a beat. I didn’t think a furry con would be interested in a short film showing-let alone a horror movie. I emailed back and forth with one of the con runners who was extremely helpful through all my questions, since I’d never really been to many panels-let alone host one! I made flyers for the event-and I really was thinking ‘no one will show up, people might not be interested in a movie’. When I arrived Friday, I had forgotten to pre-registar! So I thought I wouldn’t even beable to get into the con that night, but luckily I was able to get in. So that whole thing was a bit stressful, plus with everything else on my mind. I didn’t sleep a wink Friday, I was so excited and jittery, but honestly it was a good feeling overall. Some anxiety, but I think I became less nervous as the panel approached because I knew, hey whatever happens will happen. My movie is sceening in Boston, my name is in the Anthro New England con book. This is cool! Saturday I passed out most of my flyers and I was so surprised to find out how many people wanted to see my movie. It was mind blowing. That night, I got changed into my suit (no, not a fursuit) and I spent a long time running up and down stairs, getting the AV situated, the ANE staff were super helpful. I had even lost my name tag in among all the craziness and had to get a new one. My brain was spinning by the time we got the projector set up and I knew everything would work. About 7:30, two people show up. In the back of my head, I thought ‘well, I know my two closer friends will show-but will this be it?’ About 7:50-maybe three people walked in. I was pretty happy. Right before I introduced the movie-about 8 more people showed. I pinched myself the whole time. I had about 25 people seeing my movie-in front of me, in Boston at a furry con. It felt like a dream and as the movie played-I felt hazy. In a great way. This is something I’ve fantaized about for so long, but never thought it would happen. I did have one walk out, but another gentleman took his spot-so I shrugged it off. The Q&A was a lot more fun than I thought it would be. I didn’t think anyone would be interested to hear how I made the movie, but as I stood there I realized no one was leaving. Again, it felt like a dream. I felt like some internet celebrity. At this point, I was so full of energy, I was able to talk about anything really. I talked to a few people who wished to help me with furutre projects, so who knows? You may see some new faces in my work soon! After, mom and I each had a drink at the bar and I was kinda in shock. I wasn’t really able to process what happened, again this was something I never thought could happen to me. On the way home, I talked to my cousin Nick about the event-which was super fun as it was nice to just let my emotions pour out. Anthro New England and the furry fandom made a dream come true-and this gives me another reason to defend the fandom and its partcipates, it’s an amazing group of people and without them-I feel like I’d be kinda a nobody for the most part. I think other furries can relate to that. This was a special night I’ll never forget. “To the Slaughter”- Short Film Screening! 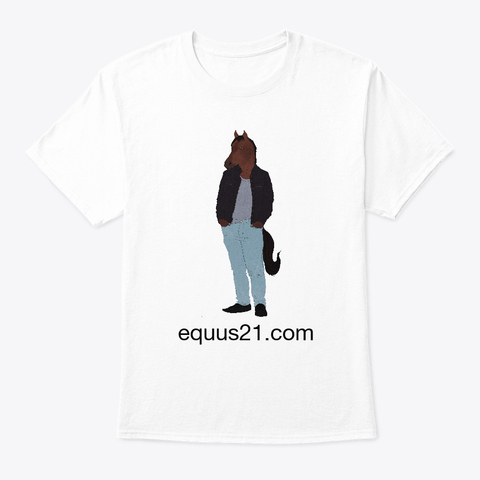 January 16, 2018 BlogAnthro New England, Equus21, movie screening, Short Film, To the SlaughterAaron B.
October 22, 2017 BlogBehind the Scenes, Cow, Equus21, Filming, Movie, revenge, Screenshot, To the SlaughterAaron B.
I went to an awesome Halloween party and got some willing actors to play Colin’s victims (Slaughterhouse Workers) and they all did an awesome job! You may remember John from my short film “Trespassers“, as well as Liam and Gillian. To the Slaughter- Filming Begins! October 19, 2017 BlogCow, Equus21, Short Film, To the SlaughterAaron B.